multiple layers of 2D painted glass to create a 3D image. In a sense, his paintings are holographic. "If a physicist doesn't mind, it doesn't antimatter." The Portuguese word "SAUDADE" has no English Equivalent: it describes the feeling of missing something very intensively. The Portuguese also say: "To Yearn for the Future" - Feeling for the connection to a destiny in time that is NOT YET, may be a particular genetic skill. Integration is a function of intentionality -- conscious and unconsciously maintained, or incorporated. Integration occurs both without effort, as a redesign of the central processor of our minds, and voluntarily as a deliberate effort to understand, find meaning, and as rectification of our behavior towards others and towards ourselves. Truth is a revelation of what we already know but haven’t heard in words before. In truth we discover what we already know but haven’t confronted. Truth as a judgment is the product of our experience. In our belief systems, truth is what we accept of our history, what we accept as truth. We choose truth, which is revealed in direct proportion to our ability to discard all we were previously told is true - presumptions, assumed truths, limited self image. Often, we tend to avoid it as the dreaded traumatic state of fear of the void, a nothingness, a bottomless pit, or demonic force -- the instabilities in ourself or another or the boundless inchoate flux of impossible opposites. Cultures are also susceptible to it at the collective level. It is a constant companion in the creative as well as spiritual transformative life. The embodiment of any new form of consciousness and its associated self image comes in this challenging manner. But such powerlessness and nothingness is the anxiety-provoking inexorable pull of the void, which leads to dissociation as a defense against letting go. Attempts to meet the chaos, rather than dissociate lead to change. Even when the numinous is negative it carries the sacredness of the archetype. We learn to lean into the field and feel its chaos without imposing premature order. 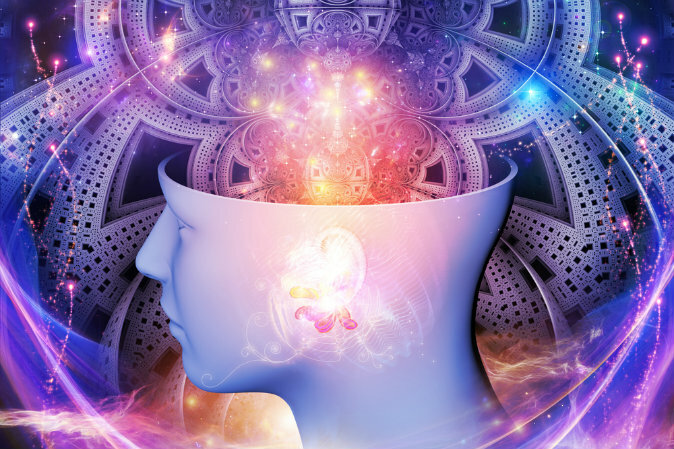 * That consciousness is dependent on holographic structure — proposed by Karl PribramThis paradigm posits that theories utilizing holographic structures may lead to a unified understanding of consciousness and the universe. The holographic paradigm is rooted in the concept that all organisms and forms are holograms embedded within a universal hologram, which physicist David Bohm [Bohm, David (1980) Wholeness and the Implicate Order, Routledge, London.] called the "holomovement". It is an extrapolation of the optical discovery of 2-dimensional holograms by Dennis Gabor in 1947. [Professor T.E. Allibone CBE, FRS. “THE LIFE AND WORK OF DENNIS GABBOR, HIS CONTRIBUTIONS TO CYBERNETICS, PHILOSOPHY AND THE SOCIAL SCIENCES, 1900 – 1979”. http://216.239.51.104/search?q=cache:NMpfXYlo-RsJ:www.cybsoc.org/GaborAllibone.doc+dennis+gabor+holograms+book&hl=en&ct=clnk&cd=2&gl=us] Holography created an explosion of scientific and industrial interest starting in 1948.
photographic recordings of the patterns of interference between coherent light reflected from the object of interest, and light that comes directly from the same source or is reflected by a mirror. When this photo image is illuminated from behind by coherent light, a three-dimensional image of the object appears in space. The characteristic of a hypothetically perfect hologram is that all its content is contained in any finite part of itself (at lower resolution). Observationally and perceptually, the universe is a hologram and in each part of itself, since all of it can be detected from/in each internal particle. [Beardon, Thomas (1980, 1988, 2002), Excalibur Briefing, Strawberry Hill Press, San Francisco.] In 1973, what has come to be known as the Pribram-Bohm Holographic Model was non-existent. But the Seattle thinktank, Organization for the Advancement of Knowledge (OAK), led by Richard Alan Miller and Burt Webb, were able to synthesize the work of Northrup and Burr on the electromagnetic nature of the human being with Dennis Gabor's work on optical holograms and come up with a new notion – a holographic paradigm. In Languages of the Brain (1971), Pribram [Pribram, Karl (1971), Languages of the Brain, Prentice-Hall, Inc., Englewood Cliffs: New Jersey.] had postulated that 2-dimensional interference patterns, physical holograms, underlie all thinking. The holographic component, for him, represented the associative mechanisms and contributed to memory retrieval and storage and problem solving. The "Holographic Concept of Reality" (1973) [Miller, R.A., Webb, B. Dickson, D. (1975), “A Holographic Concept of Reality,” Psychoenergetic Systems Journal Vol. 1, 1975. 55-62. Gordon & Breach Science Publishers Ltd., Great Britain. "Holographic Concept" was later reprinted in the hardback book Psychoenergetic Systems, Stanley Krippner, editor. 1979. 231-237. Gordon & Breach, New York, London, Paris. It was reprinted again in the journal Psychedelic Monographs and Essays, Vol. 5, 1992. 93-111. Boynton Beach, FL, Tom Lyttle, Editor. Accessed 6/07: http://www.geocities.com/iona_m/Chaosophy/chaosophy13.html] was presented at the 1st Psychotronic Conference in Prague in 1973, and later published by Gordon & Breach in 1975, and again in 1979 in Psychoenergetic Systems: the Interaction of Consciousness, Energy and Matter, edited by Dr. Stanley Krippner. Miller and Webb followed up their ground-breaking paper with "Embryonic Holography," [Miller, R. A., Webb. B., “Embryonic Holography,” Psychoenergetic Systems, Stanley Krippner, Ed. Presented at the Omniversal Symposium, California State College at Sonoma, Saturday, September 29, 1973. Reprinted in Lyttle's journal Psychedelic Monographs and Essays, Vol. 6, 1993. 137-156. Accessed 6/07: http://www.geocities.com/iona_m/Chaosophy/chaosophy14.html] which was also presented at the Omniversal Symposium at California State College at Sonoma, hosted by Dr. Stanley Krippner, September 29, 1973. Arguably, this is the first paper to address the quantum biological properties of human beings--the first illustrations of the sources of quantum mindbody. The organization of any biological system is established by a complex electrodynamic field which is, in part, determined by its atomic physiochemical components. This field, in turn, determines the behavior and orientation of these components. This dynamic is mediated through wave-based genomes wherein DNA functions as the holographic projector of the psychophysical system - a "quantum biohologram".Dropping a level of observation below quantum biochemistry and conventional biophysics, this holographic paradigm proposes that a biohologram determines the development of the human embryo; that we are a quantum bodymind with consciousness informing the whole process through the level of information. They postulated DNA as the possible holographic projector of the biohologram, patterning the three-dimensional electromagnetic standing and moving wave front that constitutes our psychophysical being -- quantum bioholography. * Gariaev, P.P. (1994), Wave Genome, Public Profit, Moscow, 279 pages [in Russian] . * Gariaev, P.P. (1993) Wave based genome, Depp. VINITI 15:12. 1993, N 3092?93, 278pp. [in Russian] . * Gariaev, P., Tertinshny, G., and Leonova, K. (2001), "The Wave, Probabilistic and Linguistic Representations of Cancer and HIV," JNLRMI, v.1, No.2. 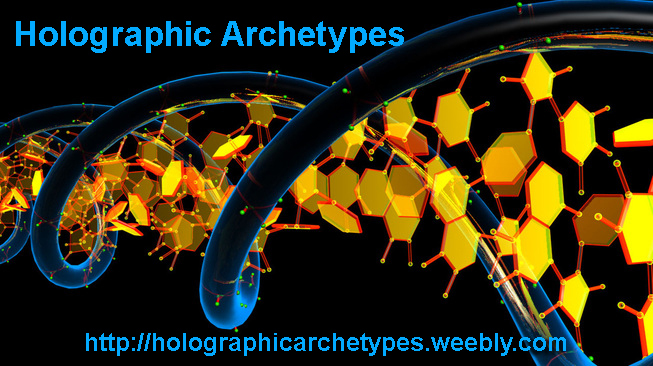 * Marcer, P. and Schempp, W. (1996), A Mathematically Specified Template for DNA and the Genetic Code, in Terms of the Physically Realizable Processes of Quantum Holography, Proceedings of the Greenwich Symposium on Living Computers, editors Fedorec, A. and Marcer, P., 45-62. * http://www.geocities.com/iona_m/Chaosophy/chaosophy11.html Miller, Iona (1993) The Holographic Paradigm and CCP: Explication, Ego Death and Emptiness, "Chaosophy 93". On the universe with a sum of zero: consider a pair of virtual particles that spontaneously appear and then annihilate. The sum is zero in every respect ~ no energy, no mass, no effect on the world. But if an observer somehow detects this brief existence then even if the virtual pair disappear as above they will have left information which persists in the world. This information is cumulative. One of the differences between living and nonliving systems is the accumulation of information. This accumulation pushes the zero sum toward a positive value whereby information is accumulated even if all the constituents of that information: virtual particles, animals, humans, and so on ~ disappear without any trace at all and return the sum of the energy+mass balance to zero. Some 2,500 years ago the Buddhist text, the Avatamsaka Sutra, described the cosmos allegorically through the imagery of Indra’s net. In the heavenly abode of the deity Indra, there was cast an infinite net reaching in all directions, and at each node point in the net there was a jewel, each reflecting the light of all the others—infinitely. Should any jewel be touched, each of the infinite other jewels would instantly be affected, presaging Bell’s theorem that everything is interconnected in this interdependent universe. The Buddhist vision essentially describes a holographic universe—our holographic universe. In The Tao of Physics, Capra explains the relevance of Indra’s net to particle physics, stating that “particles are dynamically composed of one another in a self-consistent way, and in that sense can be said to ‘contain’ one another.” This is a principle of the hologram: that each part contains within it the information that codes for the whole. In other words, all information fundamentally exists nonlocally, infinitely reflected in all the facets of existence. The inference is clear: true randomness is an illusion, an artefact of limited perception and knowledge. The universe deals in intelligently encoded information that is intrinsically meaningful and thereby creates an ordered and meaningful cosmos, but there are many ways to analyse and extract information and meaning from the one system (complimentarity). The phone calls taking place between people manifested within the EM band as seemingly random fluctuations, but in reality these fluctuations were the result of conscious choices being made each moment by the people holding the conversations that possessed and expressed meaning to them and their own particular methods of analysis. The phone calls taking place looked random to the students because of the way they looked at them; they were not decoding them in a way that allowed them to extract or perceive the embedded meaning within privy to the speakers. What if the quantum field’s ‘random’ quantum fluctuations are really the functions or effects of the language being spoken by the holographic cosmos as it converses nonlocally between its many and varied component parts? What if lurking behind it all is conscious choice—on a scale we can barely begin to comprehend? What if the ancients were right, and modern science has brought us full circle back to a teleological cosmology, one in which we are no longer the centrepiece of a dead and meaningless universe, but, as conscious beings, an integral part of an intelligent and fundamentally conscious holographic multiverse? Scaling things up, single-celled slime moulds demonstrate the ability to memorize and anticipate repeated events, a team of Japanese researchers reported in January 2008. The study clearly shows “a primitive version of brain function” in an organism with no brain at all. (10) In the late 19th century, over 110 years ago, Cienkowsky observed the feeding activities of the amoeba Colpadella Pugnax and found them so poignantly indicative of intelligence that he remarked that “one is almost inclined to see in them consciously acting beings!”(11) Scaling up still further, in his fascinating 1919 study, Modern Psychical Phenomena, Hereward Carrington detailed rigorous experiments on a group of especially talented horses which were capable of carrying out complex mental arithmetic—beyond even the mathematical abilities of the scientific men testing them! Their intelligence and communicative abilities with humans surpassed anything previously expected of the equine species. Though there are many other sources substantiating the notion, the GCP alone has effectively proven that: consciousness is a real something; that it can ‘see’ into the near future; collective consciousness focused in harmony can affect quantum events—suggesting that consciousness is itself more fundamental than any form of energy/matter in space-time, that it is ‘sub-quantum’ in a sense. As I show in TGI 1 & 2, consciousness appears to be synonymous with the spiralling torsion energy of time-space/the time domain, a nonlocal ‘implicate order’ that governs the formation of our space-time reality. It is this energy that appears to be responsible for nonlocal effects in quantum physics and virtually all mind-matter interactions documented in the annals of psi research. (1) Yurth, Seeing Past the Edge, 109. (2) Lazslo and Currivan, Cosmos, 19. (4) Radin, Entangled Minds, 13. (6) Lazslo and Currivan, 49. (7) Zeilinger, Dance of the Photons, 267. (8) Chalko, Is Chance or Choice the Essence of Nature? http://nujournal.net/choice.html. (9) Jay Alfred, Our Invisible Bodies, 65-8, 133–4. (11) See Blavatsky, Studies in Occultism. (12) Radin, Entangled Minds, 127–9. (15) Radin, Entangled Minds, 195-207. 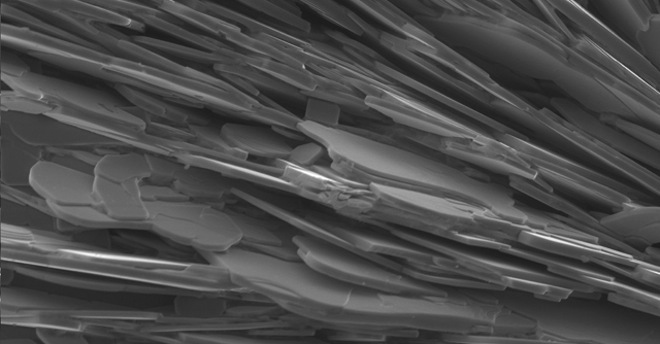 The strange properties of superconducting materials called “cuprates” (bismuth strontium calcium copper oxide is shown in this microscopy image), which cannot be described by known quantum mechanical methods, may correspond to properties of black holes in higher dimensions. Image: Robert Goddard at the National High Magnetic Field Laboratory, Tallahassee, Fla. If each energy field pervading space is thought of as the surface of a pond, and waves and particles are the turbulence on that surface, then the new evidence strengthens the argument that a vibrant, hidden world lies beneath. For decades, the surface-level description of the subatomic world has been sufficient to make accurate calculations about most physical phenomena. But recently, a strange class of matter that defies description by known quantum mechanical methods has drawn physicists into the depths below. Of all the strange forms of matter, cuprates — copper-containing metals that exhibit a property called high-temperature superconductivity — may be the strangest. In new research published online June 24 in the Journal of High Energy Physics, physicists at the University of California-Santa Barbara have explored the deeper phenomena that they claim are connected to the perplexing “surface-level” behavior of cuprates. By focusing their calculations on that underlying environment, the researchers derived a formula for the conductivity of cuprates that was previously known only from experiments. “The amazing thing is you start with this theory and out you get the conductivity of these strange superconductors,” said Sachdev, who was not involved with the work. The results bolster the evidence that this new way of looking at nature’s building blocks is real and that it is “strikingly literal,” said Jan Zaanen, a theoretical physicist at Leiden University in the Netherlands. What’s more, the results could be seen as an unusual, indirect kind of evidence for string theory — a 40-year-old framework that weaves together quantum mechanics and gravity and is as mathematically elegant and profoundly explanatory as it is unproven. With looming questions about the nature of dark matter, the mysterious substance thought to constitute 84 percent of the mass in the universe, and the search for a “theory of everything” that mathematically describes all of nature, researchers say the findings could have sweeping implications. Consider the 3-D interior and 2-D surface of the metaphoric pond. For the correspondence to work, the interior must be mathematically described by string theory, in which electrons, photons, gravitons and the rest of nature’s building blocks are invisibly small, one-dimensional lines, or “strings.” Mass and other macroscopic properties correspond to the strings’ vibrations, and interactions between different kinds of matter and forces come from the way strings split and connect. These strings live inside the pond. Now, imagine that the 2-D surface of the pond is described by quantum mechanics. Particles are the splashes on the surface, and waves are the cascade of ripples from those splashes. On the surface of this imaginary pond, there is no force of gravity. Maldacena’s discovery, known as the holographic duality, showed that events in the interior region, which involve gravity and are described by string theory, are mathematically translatable to events on the surface, which are gravity-free and described by quantum particle theories. “To understand this relationship, the crucial aspect is when the gravity theory is easy to analyze, then the particles on the boundary” — or, in the pond analogy, the surface — “are interacting very strongly with each other,” Maldacena said. The converse is also true: When the particles are calm on the surface, as they are in most forms of matter, then the situation in the pond’s interior is extremely complicated. That contrast is what makes the duality useful. If strongly correlated matter is thought of as “living” on the 2-D surface of a pond, the holographic duality suggests that the extreme turbulence on that surface is mathematically equivalent to still waters in the interior. Physicists can get at the surface-level behavior by studying the parallel, but much simpler, situation below. “You can compute things in that tranquil world,” Zaanen said. In the mathematical parlance of the holographic duality, certain strongly correlated matter in 2-D corresponds, in 3-D, to a black hole — an infinitely dense object with an inescapable gravitational pull, which is mathematically simple. “These very complicated quantum mechanical collective effects are beautifully captured by black hole physics,” said Hong Liu, an associate professor of physics at the Massachusetts Institute of Technology. “For strongly correlated systems, if you put an electron into the system, it will immediately ‘disappear’ — you can no longer track it.” It’s like an object falling into a black hole. Increasingly over the past decade, studying the black hole equivalents of strongly correlated forms of matter has yielded groundbreaking results, such as a new equation for the viscosity of strongly interacting fluids and a better grasp of interactions between quarks and gluons, which are particles found in the nuclei of atoms. Now, Gary Horowitz, a string theorist at UC-Santa Barbara, and Jorge Santos, a post-doctoral researcher in Horowitz’s group, have applied the holographic duality to cuprates. They derived a formula for the conductivity of the metals, which are approximately 2-D, by studying related properties of what may be their counterpart in 3-D: an electrically charged, peculiarly shaped black hole. The work took numerical virtuosity. In cuprates, a swarm of strongly correlated electrons moves through a fixed lattice of atoms. Modeling the metals with the holographic duality therefore required working the equivalent of a lattice into the structure of the corresponding black hole by giving it a corrugated outer surface, or horizon. “When it comes to playing ball with black holes, you need Gary [Horowitz],” Zaanen said. To determine a formula for the conductivity of cuprates, Horowitz and Santos had to study how light would interact with the complicated horizon of their black hole. The equations were too thorny to solve exactly, so they found approximate solutions using a computer. In their first paper detailing this approach, co-authored by Cambridge University physics professor David Tong and published in July 2012 in the Journal of High Energy Physics, they derived a formula that matched the conductivity of cuprates at high temperatures in response to an alternating current. In the new work, they extended the calculation down to the temperature range in which cuprates become superconductive, or conduct electricity with no resistance, and again found a close match with experimental measurements of real cuprates. The accuracy of Horowitz and Santos’ model breaks down in some significant cases, such as for alternating currents with extremely high frequencies, but Sachdev said that considering how simple the corrugated black hole model is, “it couldn’t have worked any better.” Incorporating more of the microscopic details of cuprates into the structure of the black hole will probably deepen their congruence, he said. Hartnoll, who recently used the holographic duality to model metal-insulator transitions in strongly correlated materials, hopes to build on the results by solving Horowitz and Santos’ equations exactly. “They have an input and an output; we’d like to decompress it and understand the critical steps in between,” he said. Doing so would reveal where the conductivity formula originates in the black hole environment, providing more insights about the corresponding forces at play inside cuprates. Understanding the physics of cuprates could have important practical applications. Most metals start to superconduct when their temperature drops close to absolute zero. But, for reasons not completely understood, cuprates exhibit superconductivity at much more accessible temperatures, making them useful for devices ranging from high-power electrical cables to ship propulsion motors. Cuprates are brittle and expensive, however, and engineering better versions by tweaking their properties could lead to dramatic improvements in a range of technologies, from magnetically levitating vehicles and other devices to more efficient power grids. There is also the potential for advancing fundamental physics. If the holographic duality yields increasingly accurate predictions about the behavior of cuprates and other strongly correlated materials, these materials can be conceived as, essentially, being black holes in higher dimensions. String theory may simply be the best mathematical language for grappling with certain aspects of reality, the physicists interviewed for this article said. “Physics was traditionally reductionist; it wants to take something complicated and find out what the building blocks are,” Hartnoll explained. “The point is there’s not a unique way to do that: In some cases, electrons could be the building blocks, but in others, collective excitations of electrons are playing a more fundamental role than any of the individual electrons. with deceased, and instrumental transcommunications. feedback might help to find the healing frequency by trial and error. see an object on basis of data which need not have any meaning for her. representing the vertices of the Feynmann diagram and the "points" of the conscious hologram. representations based on plasma oscillations. a conscious entity receiving sensory input from bio-sphere and controlling it. sheeted laser at a wide wave-length range emerges.